Last weekend was quite the eventful weekend. 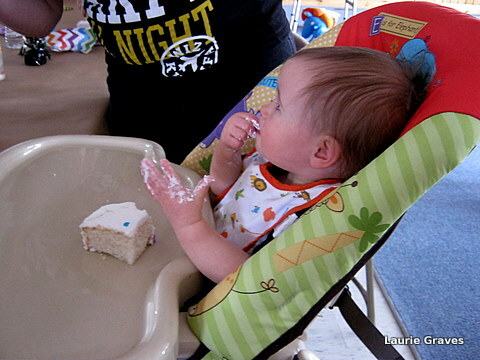 On Saturday, I went to Piper’s—aka Darling Baby—first birthday party. I know all babies are cute, but it seems to me that Piper is especially cute, and she had a wonderful time being the center of attention. She even led the guests on a round of birthday claps. and with her birthday cake. After a couple of fun hours, I bid the birthday girl adieu and headed home. 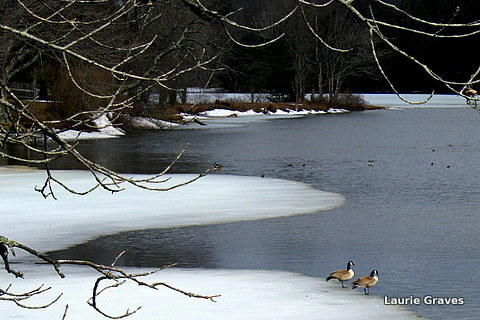 On the way back, I spotted Canada geese on the ice and stopped to take pictures. 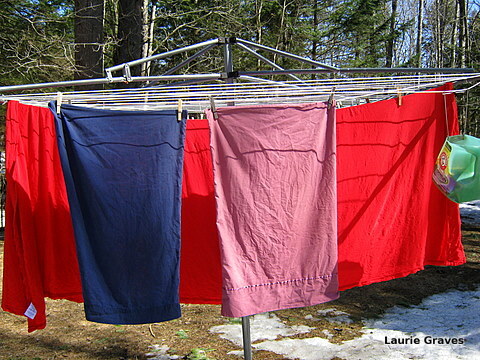 Then, on Sunday, spring finally came to the little house in the big woods, and for the first time this year, I was able to hang laundry on the line. 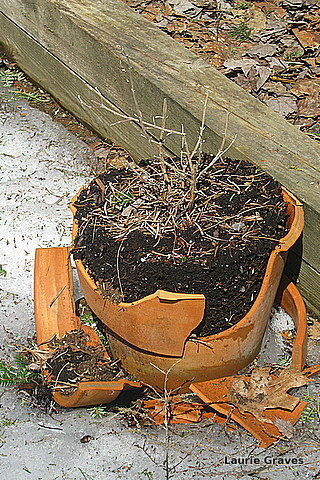 The receding snow has revealed things both good and bad—a forgotten pot and emerging irises. 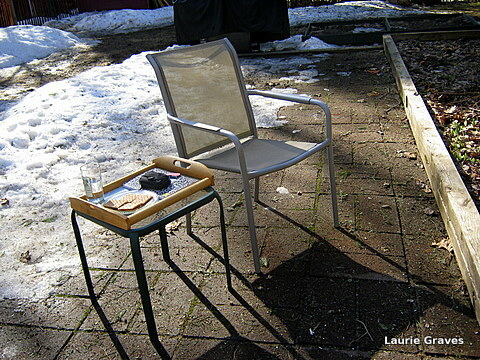 By mid-afternoon, the temperature in the backyard was 65 degrees, and even though there was still snow, I decided to haul out a chair and a little glass table so that I could have afternoon snack on the patio. I know. I’m rushing the season. But what a sweet end to a sweet weekend. Another gorgeous day today and tomorrow!! 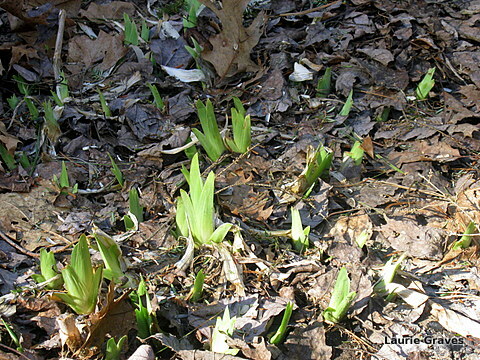 Bring on Spring!! You got it, Shannon! In a few minutes, I’m going out to hang more laundry on the line. Oh, happy day!